This column first appeared in the Ann Arbor Observer. It’s being republished with his permission. The late Bo Schembechler (left) and Greg Stejskal. In reading recent accounts of state-sponsored use of performance enhancing drugs (PEDs), primarily by Russia, I was struck by how quickly it was decided that the FBI would open an investigation. There hasn’t always been a keen interest in pursuing criminal investigations of PEDs in sports. Arguably, that interest began in Ann Arbor. 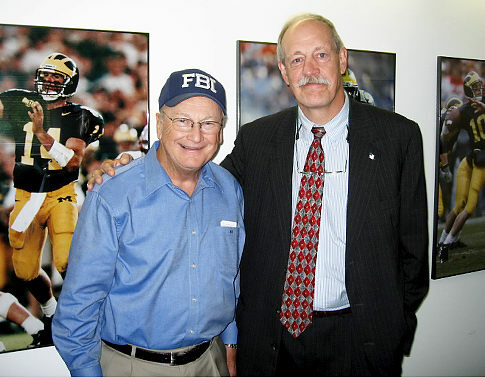 In 1988, when I was an agent in the FBI’s Ann Arbor office, Michigan football coach Bo Schembechler asked me to come to his office. Since 1982, I had been making presentations to Bo’s players about sports gambling, drugs, and violence against women. Now he and Mike Gittleson, the Michigan strength and conditioning coach, wanted to discuss their concerns about the use of anabolic steroids by football players. These synthetic versions of testosterone have very limited legitimate medical uses–but the coaches were seeing athletes who abused them, taking dangerously high doses to promote abnormal growth and strength. It wasn’t just college players. The coaches told me that even the high school players they were seeing in Michigan’s summer instructional camp were asking not whether they should use steroids but when they should start. Bo knew the sale and possession of nonprescription steroids had recently been made a felony under federal law. He wanted to know what was being done to enforce the law. I told him I didn’t know but would find out. What I found out was that nothing was being done. I asked the drug unit at FBI headquarters in Washington to approve a limited undercover investigation. They were less than enthusiastic. Ultimately, I got approval from a unit that investigates fraud against the government: I argued that steroid dealers were circumventing FDA regulations defining steroids as a prescription drug. So it started out as a low-level fraud case. Because some dealers were selling veterinary steroids intended to be used for horses, we called the undercover operation Equine. But from the very beginning, there was reluctance to pursue the case. FBI administrators and Department of Justice prosecutors didn’t view steroids as a serious problem. There was one exception: Mike Leibson, an assistant U.S. Attorney out of Detroit. Leibson understood the severity of the problem and not only authorized our investigation but supported the operation for more than five years, all the way to the end of the prosecution phase. Despite its slow start, Equine became an international case, resulting in more than seventy convictions and the seizure of more than ten million dosage units of steroids. 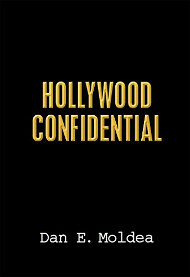 In 1994, after the undercover portion of our case had concluded, I shared the information we had learned from Wenzlaff with Major League Baseball’s director for security, Kevin Hallinan. Hallinan indicated he had some knowledge of the steroid problem, but because the players were about to go on strike and were resisting any drug testing, he didn’t think there was much MLB could do about it. Among Wenzlaff’s customers were Jose Canseco and Mark McGwire, known as the “Bash Brothers” when they were playing with the Oakland As. Wenzlaff not only provided them with steroids, he counseled them on which steroids to use and in what amount. We didn’t prosecute the players–even professional athletes are just high-profile users. Canseco would later go public regarding his steroid use and out other players. A national furor erupted. Players and MLB officials were called before Congress. McGwire went in front of a congressional committee and evaded the question of whether he had used steroids. Ultimately, McGwire admitted extensive and long-term use of steroids (and human growth hormone), including during the period when he and fellow steroid users Sammy Sosa and Barry Bonds all broke Roger Maris’s single-season record for home runs. The Nineties and early 2000s would be remembered as the steroid era in baseball–a dark time for America’s pastime. I often wonder how things would have been different had MLB acted on our warning. To baseball’s credit, MLB recently has taken a more aggressive approach against PEDs. Its 2012-2013 investigation of Biogenesis, a steroid supplier, resulted in the suspension of fourteen players, including Alex Rodriguez. Posted: 7/5/16 at 8:56 AM under Uncategorized.